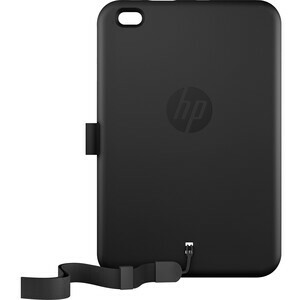 Help protect your tablet from bumps with the stylish and sturdy HP Pro Tablet 408 Rugged Case. Simply insert the tablet into the case and attach your pen to the elastic loop. Keep all of your tablet's buttons, controls, cameras, and connectors easily accessible with a case designed specifically for your HP Pro Tablet 408. Comfortably carry the case and tablet with the convenient adjustable lanyard.